Menlo Park Police Chief Bob Jonsen will leave the department after almost five years to serve as Palo Alto’s new police chief, Palo Alto City Manager Jim Keene announced yesterday (Nov. 13). Jonsen has been lauded by elected officials and community members, not all of whom agree with him, as approachable, charismatic and easy to work with. Jonsen is also no stranger to controversy. During his time as chief, Menlo Park police have received complaints about over-policing and racial profiling. Jonsen’s ushering in of license plate readers and Tasers in his first few months on the job raised concerns about privacy and police use of force. On Nov. 11, 2014, three Menlo Park police officers shot armed, meth-addled burglar Jerry Lee Matheny to death with their body-worn cameras turned off. And from 2011 to 2013, Jonsen was the Los Angeles County Sheriff’s Department station chief in Lancaster, which settled with the Justice Department on April 28, 2015, over allegations of harassment of blacks and others in public housing. “I never really cared much for him,” said Matt Henry, former president of the neighborhood association of Belle Haven, ground zero for much of Menlo Park’s violent crime and most of its complaints of over-policing and racial profiling. Henry worked in the Antelope Valley when Jonsen was the sheriff’s station chief in Lancaster. In a June 2013 report, the Justice Department said that deputies had showed up for inspections with as many as nine officers, sometimes with guns drawn. In 2015, Jonsen told the Post that he was brought into the station after an investigation into the abuses was already underway, and worked with his superiors to help the department become more accountable. Aram James, a police watchdog and former Santa Clara County assistant public defender, said he hoped that Jonsen would sit down with him to talk about racial profiling in Menlo Park, the dangers of Tasers and the public’s limited access to body-worn camera footage via the Public Records Act. But Jonsen says he’s ushered transparency into the department. “Since 2013, I think this department has become one of the most innovative in the region, and definitely one of the most transparent,” Jonsen told the Post yesterday. Menlo Park was one of the first cities in the region to bring in body-worn cameras, and in May 2016, the city joined the White House’s Police Data Initiative, releasing data on calls for service, traffic stops and personnel demographics on the city’s website. The police department’s policy was posted online in 2013. Jonsen also started a mindfulness and compassion training for officers, which he says should have a positive effect on police-community relations. After the 2014 police shooting in Menlo Park, Jonsen says he strenghened the body-worn camera policy to require officers to turn on their cameras before they arrive at a scene. The cameras were off during the shooting because it happened immediately after they arrived at the scene, not leaving them time to turn on their cameras. San Mateo County District Attorney Steve Wagstaffe said Jonsen was “superb” throughout the investigation into the shooting. Belle Haven resident Pam Jones said she was a fan of Jonsen. “He’s been really working hard to develop a good rapport with the city, and particularly here in Belle Haven. Palo Alto is very fortunate,” Jones told the Post. 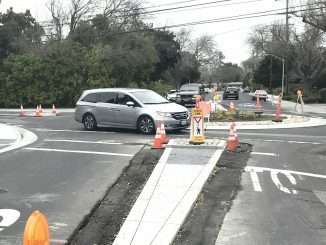 Menlo Park Councilman Ray Mueller said he disagreed with Jonsen’s approach with license plate readers and traffic cameras. He also took issue with the city accepting $9 million over five years to hire six additional police officers, which council approved on Nov. 7. But, Mueller said, Jonsen worked through disagreement productively and without confrontation. “I always thought he would make a great city manager,” Soffer said. Mueller had another idea for Jonsen’s next career move as a police chief. “I think Bob, frankly, will end up in a city even larger than Palo Alto, eventually,” Mueller said. Jonsen’s salary has been set at $260,000 with a monthly housing rental stipend of $3,000 a month for 18 months. The rental stipend will “allow him to maximize the time on the job and to fully immerse himself in the Palo Alto community as he builds relationships that are key as he assumes this new position,” according to a statement by city spokeswoman Claudia Keith. 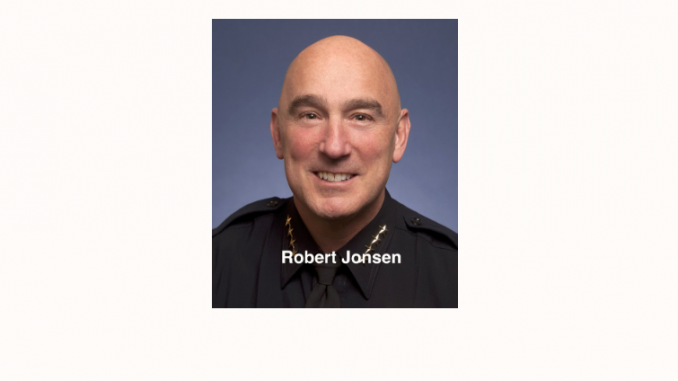 Palo Alto City Council will have to confirm Jonsen as the new chief on Dec. 11 and the city will need to finalize his public safety background requirements before he starts on Jan. 9. A graduate in Occupational Studies at CSU-Long Beach, Jonsen also holds a master’s in organizational leadership from Woodbury University in Burbank. Jonsen will replace Dennis Burns, who stepped down in December after 35 years on the police force. Capt. Ron Watson, who has been serving as interim chief, did not apply for the chief’s position. In his nearly five years as Menlo Park’s police chief, Bob Jonsen strengthened the department’s policy on body-worn cameras and established a citizens advisory committee. He has also seen his share of controversy, including three lawsuits alleging improper actions by officers. 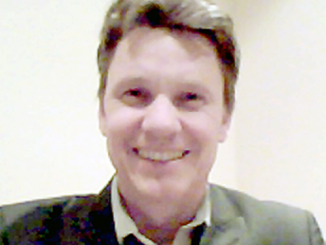 Feb. 15, 2013 — Jonsen began at Menlo Park. Sept. 25, 2013 — Council approves Jonsen’s request to spend $127,682 for four fixed-location surveillance cameras and three automatic license plate readers that can record data on thousands of cars a day. Nov. 12, 2013 — Hiruy Amanuel sues the department, claiming that during two traffic stops (one before Jonsen started and the other after) he was harassed by officers over his prior criminal conviction. He also claimed officers directed “racist and derogatory slurs” at him. Dec. 10, 2013 — Jonsen announces he wants to work with landlords to evict known gangsters. Aug. 2, 2014 — The department is sued by former cop Rolando Igno, who was fired that April by Jonsen. Igno claimed that Jonsen should not have used issues that had been resolved previously as reasons to fire him. Nov. 11, 2014 — Three Menlo Park officers shoot and kill Jerry Lee Matheny, who was confronted after a burglary. The three officers who were involved in the shooting were later cleared by District Attorney Steve Wagstaffe. A Post reporter is told by witnesses at the shooting scene that they were instructed by Menlo Park police not to talk to the press about the incident. Jonsen did not return Post Editor Dave Price’s calls or emails about the gag order. 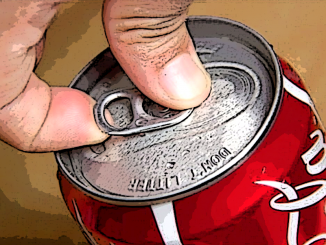 Jan. 29, 2015 — Councilman Ray Mueller blasts Jonsen and Cmdr. Dave Bertini over the fact that the three officers involved in the Matheny shooting did not have their body cameras on. “The one time we needed them on, they weren’t,” Mueller said. Aug. 5, 2015 — The Post published a report by Stanford journalism student Farida Jhabvala Romero, who wrote about the number of people pulled over in Menlo Park for having a suspended or revoked license. Of those pulled over, seven out of 10 were racial minorities. Capt. Dave Bertini denied that the department was targeting minorities, but did say that low-income drivers come to the attention of officers because of mechanical failures of their cars. The city’s towing fee was $300. “If anyone were to suggest that this is going on for racial reasons I think that’s asinine and bordering on slanderous,” Bertini told Romero. May 5, 2016 — As a result of Romero’s story, council votes to reduce the towing fee to $125. Jan. 19, 2017 — Jonsen and Mayor Kirsten Keith announce that all officers will go through “mindfulness” training in order for officers to face their discomforts and overcome them, whether it be physical or emotional or even because of biases, such as race or gender, and become more “emotionally available” to the communities they serve. Feb. 16, 2017 — A Redwood City man, Francisco Guevara, sues the city, saying he spent two nights in jail despite having done nothing wrong. Guevara said he probably wouldn’t have been arrested in the first place except that a man with the same name and physical description had a warrant out for his arrest. Aug. 28, 2017 — Tim Chamberlin sues the police department, saying he had been forced to live in his car for almost a year after he was evicted by Menlo Park police from the granny unit he was renting. Chamberlin contends Menlo Park police erred by getting involved in a civil matter between the owners of the home. Nov. 7, 2017 — Council approves a $11.25 million agreement with Facebook so the company can pay for six additional officers to patrol the east side. Jonsen helped negotiate the agreement.